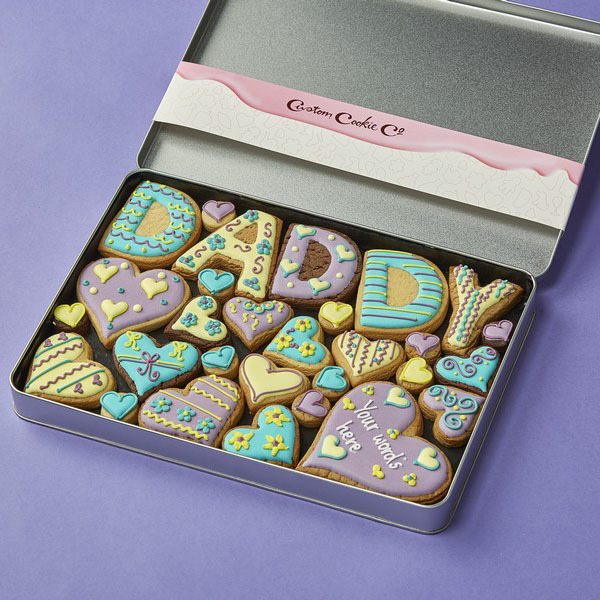 Whether it’s for Father’s Day, birthday or even Christmas, this Large Daddy Cookie Gift Tin makes the ideal gift for the special man in your life. 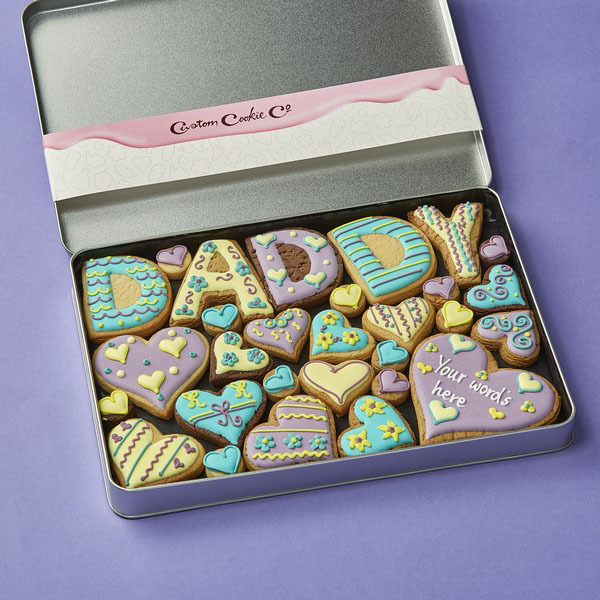 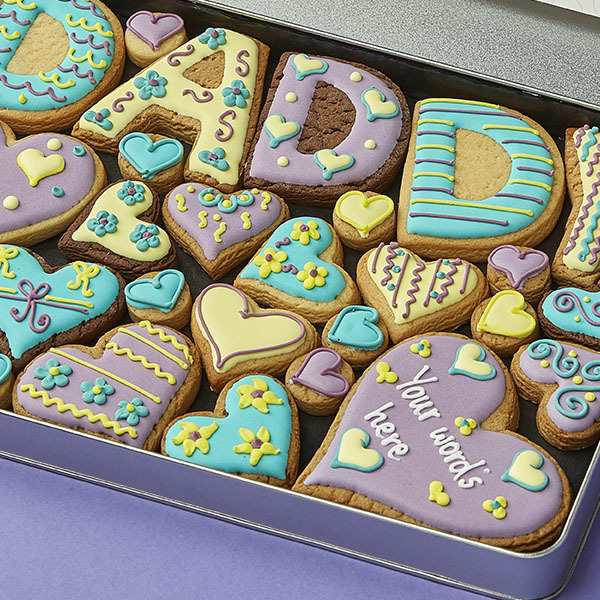 Personalise the large heart in this Daddy Cookie Gift Tin with up to 5 words. 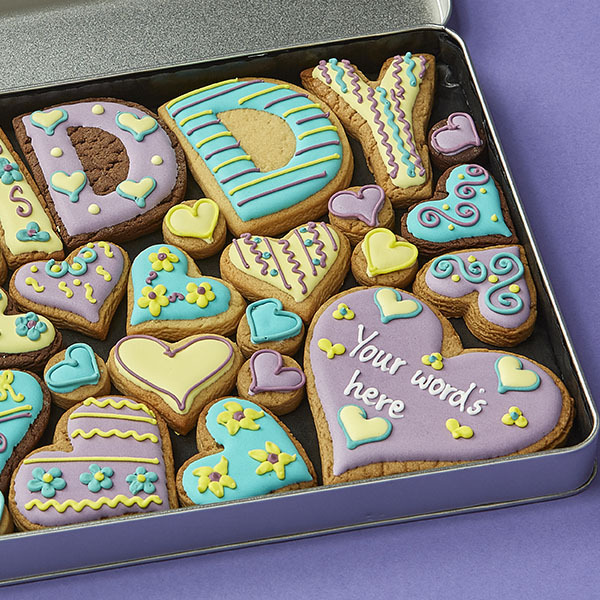 Gift tin contains hand decorated letter & heart cookies as shown; and a ribboned gift tag bearing your special message.